Grand Champion BBQ Smoker Grill and Pit Master Trailer for Sale Buy Sell or Rentals Smoker BBQ Smoker Catering Business Restaurant Grill Football Tailgate BBQ Pit Rentals Why Buy a $45k Food Truck - when you can get a BBQ Smoker Grill on wheels We have some of them in stock - call today Braselton GA 770-866-2561 Need a Smoker BBQ PIT or GRILL for your Home Party, Competition, Wedding Reception, Company Picnic, Tailgating at the Games, or any other Social Event? 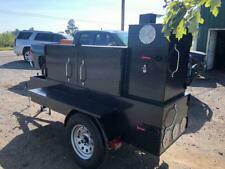 At Smoker BBQ Rental.com we have a large selection of Mobile Smoker BBQ Pits for Rent and for Sale. From Hot Dogs to Whole Hogs, we have you covered. 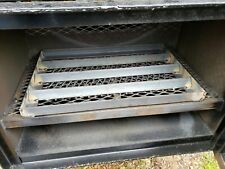 Cook anything you like over a direct fire or offset fire for some Olde Southern Barbecue Pits. Pick up and delivery options available. Smoker BBQ Rental is ideal when you want your event to be delicious, memorable, and stress-free.